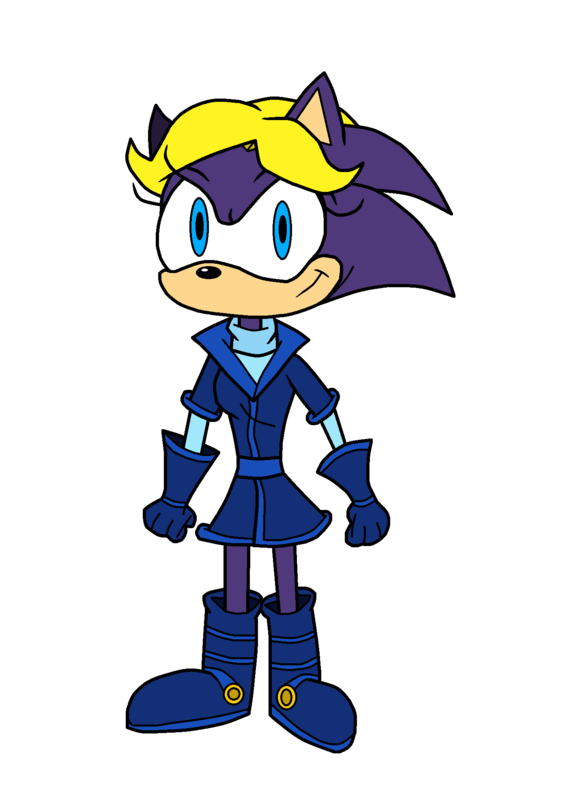 while Queen Aleena is Sonic's Mother, I will not omit Bernie entirely. but, in the early days of Robotnik's rise to power, Aleena left Sonic with Jules and Bernie. he knew Bernie to be "his mother" (and, Jules his father), never knowing of his true parentage. in present time, Aleena has developed a close friendship with her sister-in-law. and, what it is like being a "normal" parent, and not just a Queen. One obvious thing to note in Bernie's design. is that I strayed from making her a "Sonic Clone" with blonde hair on her forehead. and, colored her fur/quills Purple, as that is the coloration that I prefered. and, while she usually wears a purple coat. I colored it BLUE, so her quills and fur will show up better.